First of all, Con Dao has a mystic history which keeps it on the list of World’s the best secret islands for a long time. Recently, the reputable magazine of Lonely Planet has just again named it on the list of 9 best secret islands on the earth beside the other very well-known islands around the world. This island once known as “The Hell on Earth” with the notorious prison established and ran by French colonist and American military. Not until Vietnam War ended in 1975, had the beautiful island stopped being having this name. The extreme paradox between the natural paradise of blue sea and white sand and the severe misery under the “tiger cages” during the war depicted a mystic story for this special island. When its dark history is totally over, this incredible island nowadays arises as an impressive destination in the world with peerless beauty and attraction. As people say, the beauty created from misery is the best! Con Dao’s beauty is undoubted as it is blessed to have everything the best for a luxury beach holiday. People said that it’s a God’s “compensation” for its dark history. As the largest one among 16 islands, Con Dao possesses 200 km of ideal coast with crystal emerald sea and fine white sandy beaches. From the air view, the Con Dao looks like a powerful hunting sea bear amidst the incredible blue of the sea. If you were on the road hugging the coast of Con Dao now, you would be definitely enchanted by the amazing picture nature. One side is immense blue sea and the other side is deeply green forested mountains. What a glamorous color! 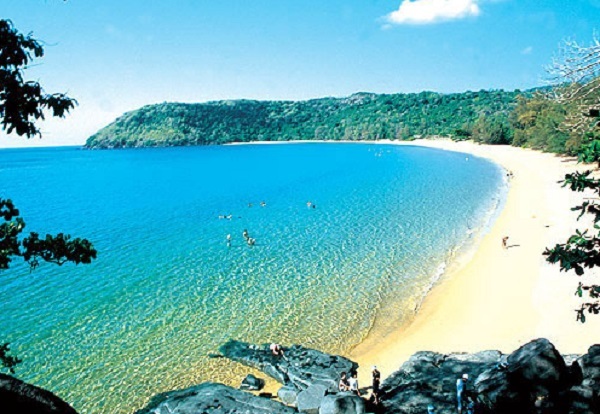 The Dam Trauis known as one of the most beautiful among 20 best beaches of Con Dao with toothpaste white sand, crystal water, vast of virgin forest and colorful coral reefs. Here at these beaches, you are not only able to swim and sunbathe in joy but also enjoy the “natural feast” by the exotic sunset and discover magical marine world. Many travelers spend time looking for an authentic hideaway with truly pristine beauty through a tailor made luxury travel in Vietnam, Con Dao is that place. Every visitor arriving this pretty island has the same feeling of pristine atmosphere and fresh air. Its incredible colors, amazing landscapes are preserved at their finest. Natural wildlife is unspoiled so that visitors even can see wild animals such as pretty chamois up on the forested mountains and many kinds of bird jumping leisurely on the trees. Having only around 6000 local residents, Con Dao environment is kept incredibly clean and pure. You can easily see very meaningful mottos in Vietnamese on the roads which you can ask your guide or driver to translate. “Before cut down a tree, please grow a forest” or “Protecting the environment is protecting our life.” The spectacular natural beauty and slow pace of local life is still not influenced much by outsiders and mass tourism. You can discover the exotic nature by yourself with many exciting activities such as observing sea turtle giving birth at night, kayaking, bird Island sightseeing, snorkeling to explore coral reefs. The amazing serenity here always makes visitor want to stay for a long extension. Especially, Con Dao is appropriate to be a luxury resort for those who wish to experience slow rhythm of life, escape from busy cities and daily routines. The most luxury resort in Con Dao is Six Senses Con Dao with eco-friendly architecture and superior luxury service. The resort includes 50 villas along the gorgeous coast, all made of wood with simple but elegant designation. There are private pools, inside and outside bathrooms for each villa, which brings a true luxury feeling to visitors. It is perfect if you have chance to stay in the most luxury resorts here, awaken by the sound of the sea every morning, treated well with exquisite dinners and high-end service, and enjoy the sea by your side. 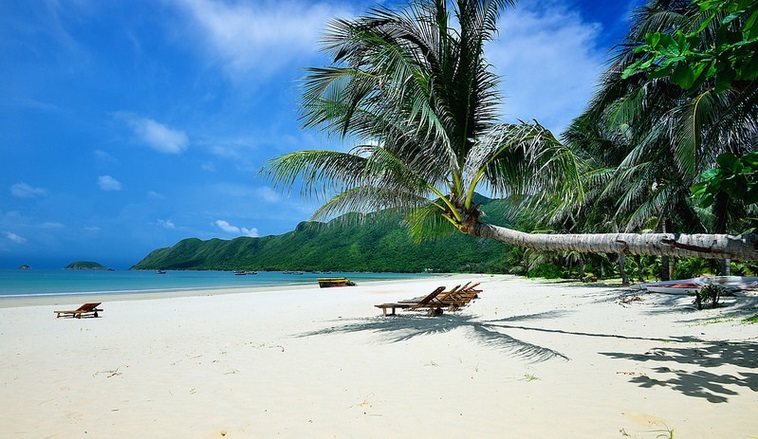 If you are ready for the memorable holiday of your lifetime in Con Dao Island, let our Travel Expert know and leave us your interest through one of our Vietnam Luxury Tour Packages and your requirement and your dream journey will come true!